The Aries New Moon occurs on Sunday, March 30th at 11:45 am MST/PDT at 9 degrees Aries 59 minutes. Here’s the chart: Aries New Moon 2014. Aries is the first sign of the zodiac symbolizing the bursting forth of new life each Spring. This sign instinctively initiates action and tirelessly moves forward in new directions. Its purpose is to discover something unknown but special about itself and its destiny. 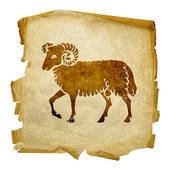 Aries needs absolute freedom in order to pursue these personal experiences. In fact, if Aries is limited in any way, it responds with anger as it pushes forward anyway! This New Moon in Aries is joined by Uranus, the asteroid Juno (partnership commitments) and the Moon’s South Node all symbolizing an urgent desire to forge new ways of relating to ourselves and to one another, especially the feminine half of humanity. This lunation activates the Grand Cardinal Cross of 2014 anchored by Uranus square Pluto – which itself is activating the ongoing manifestation of social revolutionary ‘seeds’ originally sown in the ‘60’s when this planetary cycle began. No wonder the same issues that demanded attention then are back in our headlines today including women’s rights, minority rights, voting rights and matters of war and peace! Cardinal energy (Aries, Cancer, Libra and Capricorn) initiates actions, but typically does so in a dance of two steps forward, one step back. This is because moving into new experiences creates uncertainty and insecurity. A step back in order to re-establish security is often necessary before we can muster the courage to take two more steps forward. Often it is also because something from the past needs to be retrieved in order to successfully move forward. Perhaps we need to recreate the revolutionary fervor of the ‘60’s in order to bring about much needed global social and economic reforms now. Or perhaps we need to reach back much further to a time before dominant patriarchal influences when we lived communally, sharing everything from food, to shelter, and even the responsibility for rearing children. During those times we also lived in much greater harmony with and reverence for the natural world. Mars rules Aries and is therefore the ruling planet of this New Moon. Mars is currently retrograde (March 1 to May 19) in Libra, the sign of peace, relationships and equality. How we treat one another is topic number one since the Nodes of the Moon recently entered the signs of Aries and Libra last month (February 18, 2014). Achieving greater balance and justice in intimate partnership matters, issues of marriage, gender and income equality, ongoing racial disparities and increased efforts in national diplomacy are all front and center in our personal and collective realities now demanding fundamental r-evolutionary changes if we are to effectively solve the current problems we face and move forward towards a better tomorrow for all of us. Unfortunately, Mars is NOT happy being retrograde or being in Libra, its opposite sign! These influences are effectively curbing Mars’ natural tendency towards rash behavior. They are forcing deliberation and contemplation before actions are taken. We need look no further than the near universal global condemnation of Russia’s military (Mars) aggression and intervention in the Ukraine as it recently annexed the Crimean peninsula to understand how ‘martial’ energy is currently being restrained and limited. This restraining influence is also evident in the United State’s decision to NOT respond militarily. Humanity’s evolution now requires that we THINK, very carefully, before we ACT! The Sun and Moon in Aries will repeatedly aspect Uranus in Aries, Jupiter in Cancer, Pluto in Capricorn and retro Mars in Libra over the next few days energizing the Grand Cardinal Cross. Additionally, further connections between Jupiter, Uranus, Pluto and Mars will continue to unfold over the coming weeks with the Grand Cardinal Cross reaching a point of precision from April 20-23. Rebellious Uranus in Aries just wants to overthrow the entire status quo! Its revolutionary impulses will be mighty strong over the coming weeks so use this energy wisely to courageously chart a new course for yourself in areas of your life that have become stagnant or are preventing further personal growth. Open up to new experiences and different ways of doing things. This will allow for new opportunities and new perspectives that help you break free of old outworn ideas and familiar but limiting patterns of behavior. Jupiter in Cancer reflects the extreme emotionality of these times. Emotional dependencies and insecurities associated with religious extremism, nationalism and protectionism can threaten current efforts towards greater global peace and cooperation. We all need to develop a greater sense of INNER emotional security realizing that the emotional balance and well-being we desire can only truly come from within us, not through any outer source. Pluto in Capricorn stations retrograde on April 14th just one day before a Total Lunar Eclipse in Libra that will be visible from much of the Western hemisphere including the Americas. Stationary Pluto will require patience and thorough consideration of any new ideas or plans based upon reality not idealism or wishful thinking. The old guard will tenaciously hold onto the status quo and continue to exert their considerable power and influence. Changes WILL inevitably come; but some will take more time than others. Venus enters Pisces on the 5th and then conjuncts Neptune and Chiron on the 11th and 20th respectively. These ethereal celestial energies will soften the nervous, anxious and edgy energy of the Cardinal Cross allowing divine inspiration, compassion, empathy and forgiveness to guide our actions and decisions. There’s no better planetary connection than Venus/Neptune for spiritual guidance or inspired artistic expression. There’s danger in Venus/Chiron however. Be sure to review past wounds and traumas with a desire to understand WHY your Soul chose to co-create such experiences for yourself and how those experiences have facilitated the lessons your Soul has chosen to learn and evolve through in this lifetime. Without this kind of objective analysis, wounds are likely to be re-imprinted and simply continue a consciousness of victimization. And finally, a Solar Eclipse in Taurus on the 28th will demand a much greater responsibility in the use of precious but limited natural resources. On a more personal level, Taurus has to do with values and possessions. Taurus teaches self-reliance and self-development so we learn to meet our own needs which is far more empowering than depending on someone else to take care of us. Solar Eclipses follow a 19 year cycle. So think back to what was happening for you in 1995 for greater insights about how this eclipse energy is likely to manifest in your own personal life since repeating astrological cycles often recreate similar events and experiences. Also of great importance is the fact that the Grand Cardinal Cross, precise from April 20th to the 23rd will dramatically impact the United States natal chart as it exactly aligns with our Sun in Cancer square Saturn in Libra. In mundane astrology, which interprets the charts of nations, both the Sun and Saturn are planets associated with leadership. America will have an extraordinary opportunity to further evolve over the coming weeks and months as our resources, values, security, self-image, beliefs and reputation are challenged and changed. The U.S. natal Sun in Cancer is in the 2nd house of values and resources while Saturn in Libra is in the 5th house of creativity and purpose. Those who understand the true purpose and evolutionary growth intentions of America as a nation know that our destiny is to foster and promote equality, fairness and justice for ALL. These are lessons we began learning at our nation’s founding when many of the signers of the Declaration of Independence were themselves slave owners and voting rights were granted exclusively to white men who were property owners. It continues today as we are now learning to see ourselves as an equal among nations, not as a ‘superior’ nation. Its no coincidence that it has recently become commonplace among some Americans to vigorously defend a national self-image of ‘exceptionalism.’ ALL nations are exceptional just as all human beings are special in their own unique way. We continue to learn the lessons of ‘different’ but ‘equal’ and to see diversity as a strength, not a weakness. The current Grand Cardinal Cross influence has never before been experienced by our nation in all of our 238 years of existence. We may well be in for historic events and experiences in the near future. Our leaders will surely be tested over the coming weeks and months as r-evolutionary social, cultural, political and economic changes continue to manifest throughout the world. Now more than ever before we need to lead by the power of example, not by the power of force. What new directions are unfolding in your life? Are you courageous enough to forge ahead in spite of your fears of the unknown? What new ideas are demanding your attention and action now? Are you ready to bust out and break free?! The current celestial influences are a once in a lifetime opportunity to change our destiny both personally and collectively. Historic and life-changing events are on the horizon! Perhaps it’s now or never so take that BIG proverbial ‘leap of faith’ and dare to boldly create the future you desire and that we all deserve! The Taurus New Moon Solar Eclipse is on Monday, April 28th at 11:14 pm MST. This entry was posted in Planetary Events and tagged action, aggression, anger, Aries, Cancer, Capricorn, freedom, Grand Cardinal Cross, independence, initiates, instinctive, Libra, lunar eclipse, Mars, Pluto, retrograde, revolution, Solar Eclipse, South Node, Uranus. Bookmark the permalink.